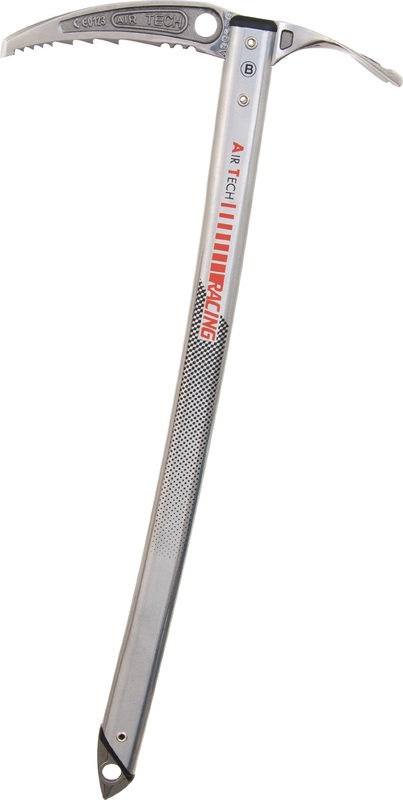 Grivel proudly touts the Air Tech Racing as the lightest forged-steel ice axe in the world. The ATR is a no-compromises mountaineering tool for serious adventures where weight is of utmost importance but strength and durability cannot be compromised, even a little. A slightly curved shaft facilitates greater leverage in the case of self-arrest. The Grivel Air Tech is a burly axe that is still lightweight. Forged chromoly-steel head can take some abuse. Slightly curved shaft helps with picking and self-arrest. Shaft resists 280kg in the UIAA pressure tests.